About a year ago, I saw this great idea for spray painting door knobs on Pinterest and I decided to try it out. 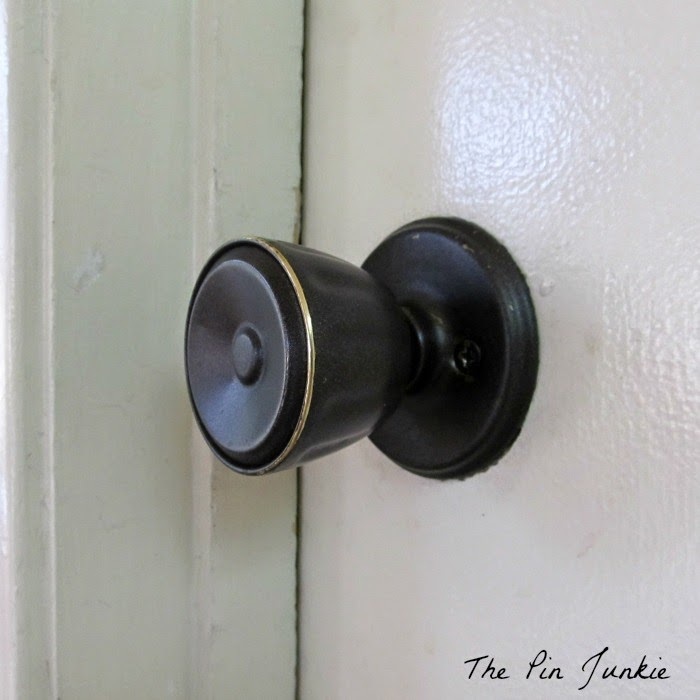 As part of my laundry room and bathroom makeover, I spray painted some really ugly brass door knobs to make them look like they had an oiled bronze finish. Since then, I've had several requests to share how well these spray painted door knobs are holding up to everyday use. For the most part, I think they've held up very well. 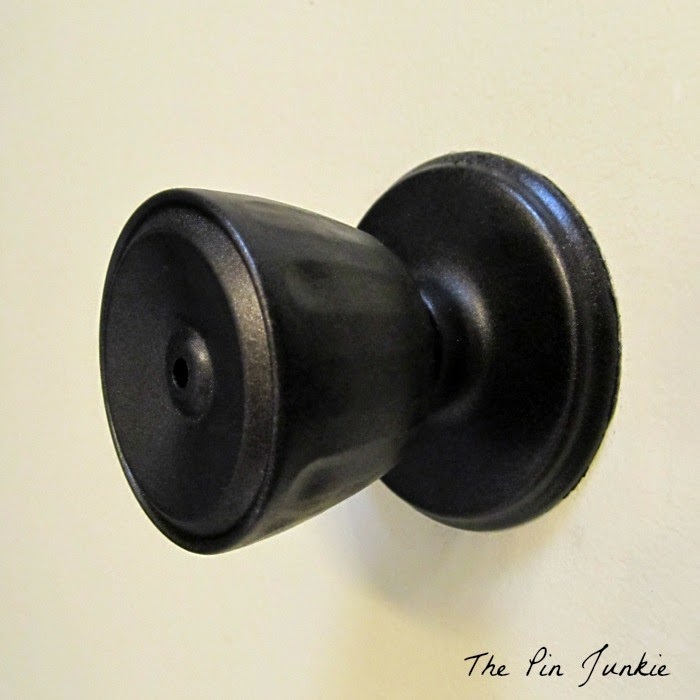 The doors in the laundry room get A LOT of use, so these door knobs show the most wear as you can see in the pictures. I know. They don't match. But on the bright side, it shows how the paint wears away more on angular surfaces and less on rounded surfaces. You can see on the first door knob where the paint has worn away around the edge of the knob and that ugly brass is peeking through. 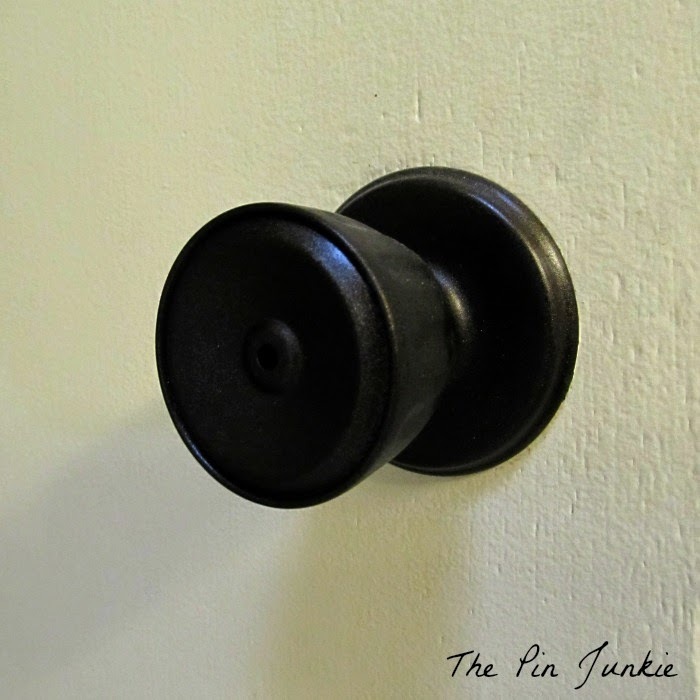 The second door knob has a more rounded shape and only shows wear on the tip of the lock. The door knobs in the bathroom have held up extremely well and don't show any wear at all, but these doors get much less use than the laundry room. I should also mention that I spray painted the door hinges on the doors in both rooms and none of the hinges show any signs of the paint wearing off. I've also seen this paint used on light fixtures which I think is brilliant! So if you're considering using this technique to update your door hardware, keep in mind that this paint does really well on rounded surfaces and on doors that don't get heavy use. 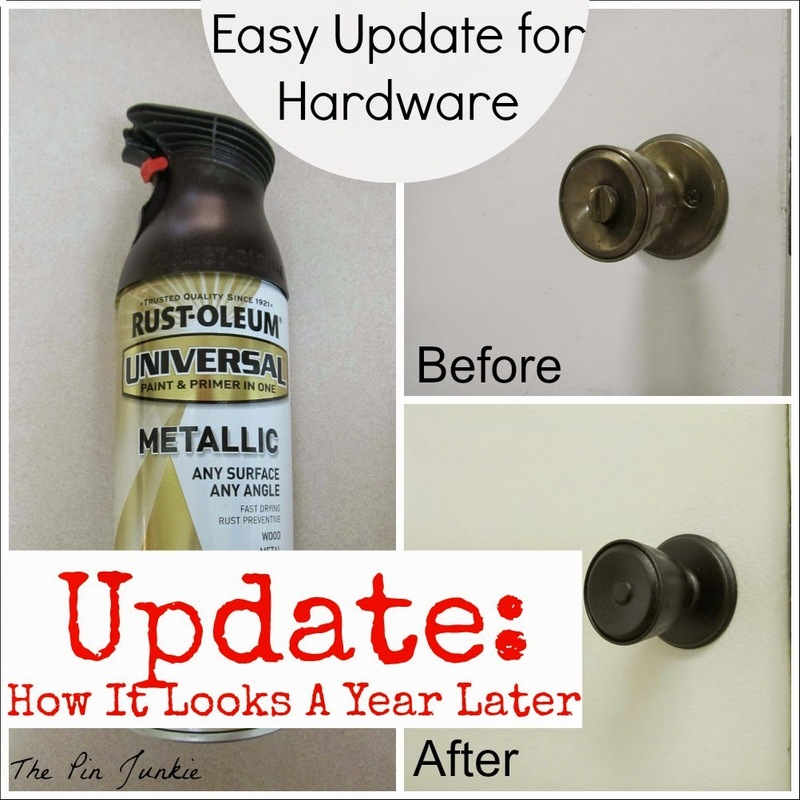 New door hardware can be expensive, so this spray painting technique is a great way to make a quick update while you save up for a nicer upgrade. Even though there's a tiny bit of wear on the high traffic areas, I'm still very happy with this paint. Thanks so much for this update. We have the UG-liest brass door knob on the back door in our landing, and I'm going to have to try this. Good to know it'll hold up to useage. Have a great day! Looks good! I need to do that to the bathroom downstairs, but only guests use the shower/tub, so I forget. Cold water and ice cubes also work great for dealing with caulk. clear coat, matte, semi, or gloss will help it wear much better. I can't wait to do mine! Also going to do the ugly air vent covers!!! The door Knobs are looking great after painting. Thanks for sharing this awesome review Bonnie! Awesome, and it looks so easy to do. 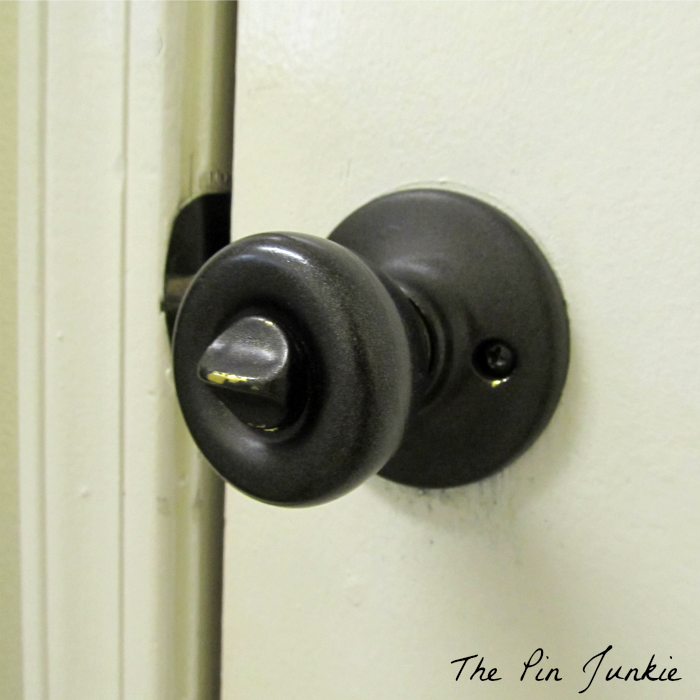 Great tips, more people should know how easy it can be to spray paint door knobs. Thanks for sharing your experiences. I'm doing some research on painting. I have an old coffee table and I want to paint it. Congratulations! You did a really good job. The door Knobs look so cute. I'm doing some research on painting, too. I have old things in my house and I want to paint them. But I have no idea. So your post is quite helpful. Thanks.